The email marketing community gets really, really upset with me when I communicate the myriad ways that email marketers carefully destroy brands. Really, really upset with me. So let's talk about email marketing today. In the image above, show me what the key item is that the merchandising team cares so deeply about that they have no choice but to proudly communicate it to you - the item they are so passionate about that they must sell it to you at full price? If I am the Chief Merchandising Officer, I'm walking down the hall to find the email director, and I'm going to swat him/her over the head with a rolled-up newspaper! With loving intent, of course. If I can still find a newspaper laying around somewhere. There's no merchandise featured. None. Notice that the promo code is prominently displayed - the analytics expert got her way and will be able to measure everything properly. The email director got his way - he'll have "shocking" levels of opens/clicks that he can brag about at the next integrated marketing meeting. The CFO is left trying to explain to the investment community why margins are shot or why marketing discounts are through the roof ("we're making a serious investment in customers which we expect to pay off down the road - it's all about lifetime value - we'll figure out how to convert these customers to full prices later, once they get a taste of our merchandise"). Do you know how often I hear that last quote? "We'll figure out how to convert these customers to full prices later, once they get a taste of our merchandise." Nonsense. Every project I've ever analyzed shows that discount buyers are less likely to buy full price merchandise in the future than full price customers are. Email Vendors - You have a significant leadership role to play in the industry. You talk about relevancy and engagement and personalization as abstract terms. You have all the data in the world. Analyze it! Demonstrate to your clients that customers buy MERCHANDISE! You are the ones who can change the trajectory email marketing is on - and it isn't a good trajectory, is it? Your clients listen to you. Merchants - It's time for you to "step up", as the pundits say. Demand that your email marketing team features MERCHANDISE! 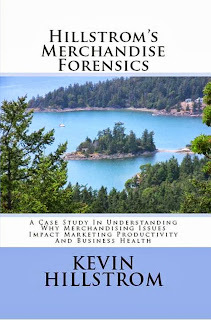 Demand that they tell a story about the merchandise, and if they won't, create your own darn email marketing programs. Seriously. I mean this. Take control of your own marketing destiny. If your email marketing team is going to give away the farm, protect your farm. It is your farm. You, not the email marketing team, are accountable for selling merchandise. You, not the email marketing team, get fired when sales drop. You, not the email marketing team, get fired when gross margins are in the tank. You are accountable. Creative - Take over the design of your email campaigns. Tell a story. Do something to create interest. When the stories die out, the discounts take over. Discounts are like weeds growing in the cracks of a sidewalk. CFOs - Demand a bit of rigor from your email marketing team. Demand an annual profit and loss statement from the email marketing team, and when they refuse to create one because they don't think that is a "relevant" use of their time, create one for them and remind them of the damage they're doing on a weekly basis. Demand that they keep marketing discounts under "x%" on an annual basis. 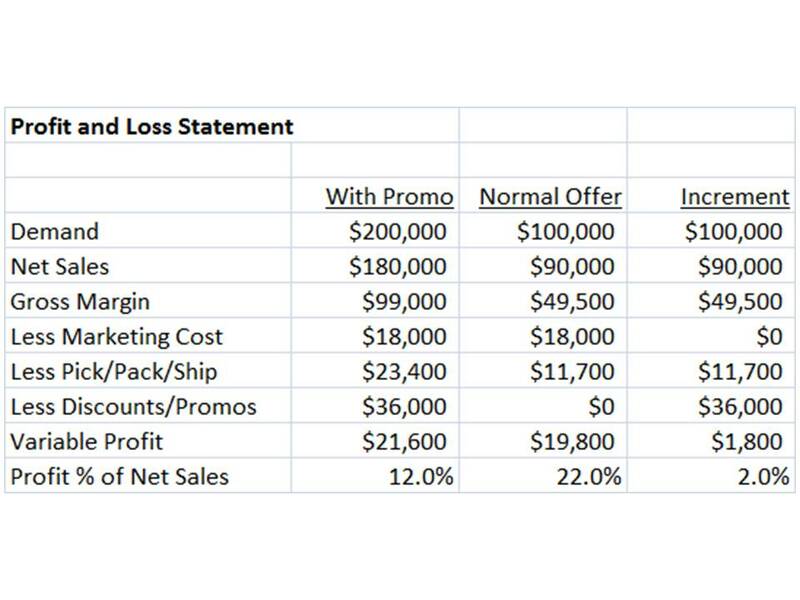 Compare the email profit and loss statement to the search profit and loss statement, or catalog, or affiliates, or national ads, or social. 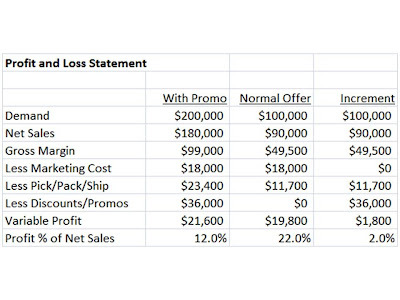 Show how the lines of the profit and loss statement compare across channels. This should cause folks to feel uncomfortable. CEOs - Why in the name of all that is good are you approving these promotions? Do you lack confidence in selling your own merchandise? Stop it! Give your email marketing team an annual goal - demand that they sell $20,000,000 of merchandise at 20% pre-tax profit, with minimal discounting. That should lead to some stimulating conversation at the water cooler. 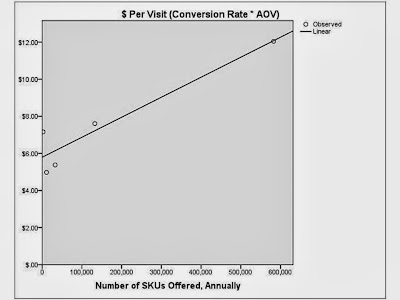 Analytics Experts - Stop measuring opens/clicks/conversions. Start measuring profit. Measure the merchandise that leads to the most profit per email delivered. Move your organization to a new metric - profit per email delivered. Teach everybody why this metric matters most. Measure the long-term impact of discounting on your business. Email Vendors / Merchants / Creative / CFOs / CEOs / Analytics Experts. It's up to you to change the trajectory email marketing is on. Email marketers, directed by the folks they report to, have gone "all in" on discounts and promotions, optimizing opens/clicks instead of profit. Most important - email marketing can be saved. Yes, that's a headline test - I am measuring how use of the word "shocking" impacts readership. This is the only time I'll ever use silly headlines to capture eyeballs - I just want to see what I'm missing. Thanks for helping! The title will make more sense in a moment or two. And if you like headlines - read this (click here). But there truly is meaty content for you to digest today. You probably had the chance to read through this little ditty about Sears ... go ahead, take a peek, I'll wait for you (click here). These are the images mentioned in the subject line test. This is an important read. And you probably read this little ditty about the potential spinoff of Lands' End, a company near and dear to my heart (click here). Now peruse this one, about race and retail (click here). Finally, Google, of course, removed all your organic search keywords (click here), and people are upset. Turns out that maybe we shouldn't have been building businesses from the free digital exhaust of an algorithmic giant. By the way, how many of you believe you lost any business at all with the disappearance of organic keywords? Discuss. You don't hear many folks telling horror stories - if you have one, use the comments section. A decade of absolute unfettered nonsense caused businesses to fall into a series of camps. Merchandise + Presentation + Service + Fair Pricing. Pseudo-Strategy, Including Omichannel, Social, Engagement, Big Data, Optimization, Relevancy, SEO, Attribution, and Minimizing E-Mail Opt-Outs. I know, I just offended nearly all of you. I'm not saying these things don't work, they do. But they aren't strategies, they are tactics. And tactics pale in comparison to Merchandise + Presentation + Service + Fair Pricing. Begging, including all discounts and promotions. The articles illustrate just how far we've moved away from (1) above. Financial management of businesses, pseudo-strategy, and 30% off the first item and 15% off the second item plus free shipping on all orders and free expedited shipping on orders of $100+ are magic - they have nothing to do with Merchandise + Presentation + Service + Fair Pricing. Be honest - how much time do you spend focusing on Merchandise + Presentation + Service + Fair Pricing in your current job? Now, how much time you do spend focusing on magic? What would it take to re-establish the focus on these aspects of strategy, boring aspects no doubt, but the real reasons customers buy stuff from us? Use the comments section to discuss. Go!! P.S. : The title of this blog falls squarely in pseudo-strategy, doesn't it? We're optimizing engagement. And you sure get clicks. But you don't move the sales needle. And the sales needle is what matters, right? Here's something interesting, from a recent project. Phone / Mail = $34.52. Look at the email row. This one comes up, often. The average price point of an item purchased via email marketing is fundamentally lower than other channels. Phone / Mail = 21%. What story does the email channel tell you? Email buyers (not email subscribers, but email buyers) purchase inexpensive items. 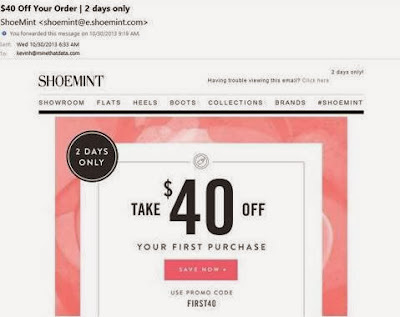 Email buyers are most likely to purchase via a discount/promo/coupon code. Again, this comes up in most of my projects - email marketers have spent 15 years maximizing opens/clicks. The end result is that email buyers demand "a deal". If you observe this happening in your business, then it is time to sit down and have a heart-to-heart discussion with your email marketing team, especially if you promote an "omnichannel" strategy of sameness across all channels. Your email team is pulling customers away from the very sameness you're trying to promote. It's common to observe that the email marketing team yields buyers who prefer a different merchandise assortment than the rest of the business. This creates tension - do you maximize email marketing, or do you demand that email follow suit and promote the overall brand? Contact me for your own project (kevinh@minethatdata.com). Click here for file layouts and pricing. Purchase on Amazon (click here). There's a misconception out there among vendors who you work with. They will tell you that I want companies to mail fewer catalogs. Vendors say this, of course, because they want you to work with them, having you mail much more often. I don't care if you mail more often, or if you mail less often. I care that you DO THE RIGHT THING FOR YOUR BUSINESS, DOING SOMETHING THAT MAXIMIZES PROFIT. 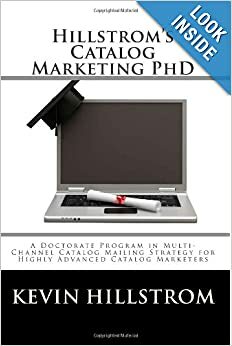 In 2/3 of the Catalog PhD projects I work on in the B2B world, the end result is a recommendation to MAIL MUCH DEEPER, AND MORE OFTEN. Your vendor partners don't tell you that, do they? 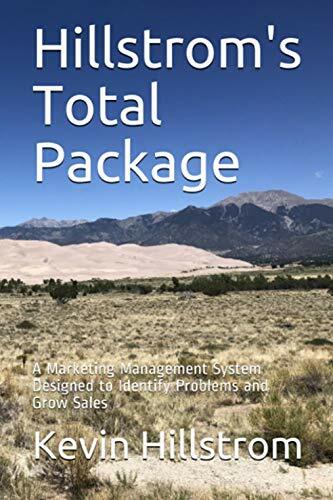 Give the booklet a read - and when you are ready to consider changing your contact strategy, give me a holler (click here to purchase on Amazon). Did you read this article when it came out last month (click here)? 2002: The top 20 video games accounted for 22% of sales. 2012: The top 20 video games account for 41% of sales. 2008: Electronic Arts sold 67 video game titles. 2012: Electronic Arts sells 13 video game titles. Since 2008, video game sales are down 39%. We're killing ourselves, slowly, but surely. 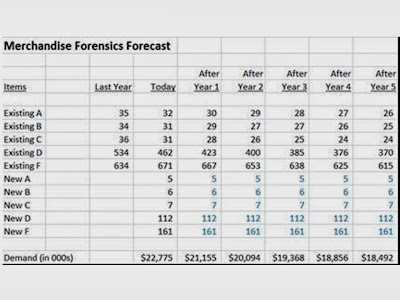 In 18 of the 22 Merchandise Forensics projects conducted in the past eighteen months, there was a new merchandise issue that was driving down future customer productivity. I'm almost to a point where I think it is a sub-conscious thing. Since the dot.com era, we've been taught that things have to "scale". In other words, there's no room for good - go big, or go home. And we were taught "the long tail", riches to be had outside of best sellers. And we were taught "optimization". When we optimize performance, we, by default, give too much attention to winners. We ignore everything else. And in the short-term, we're making the right choices. With merchandise, everything is measured in the short-term. As a consequence, the long-term is sub-optimized. For goodness sake - please analyze new merchandise introductions over the course of the past 3-5 years. All of your marketing programs are dependent upon having a steady diet of new items that perform well (not great, but well), to replace all of the items that are dying. Retailers will ship an item from one store to another store, or from a store to your home, or from the online channel to a store, or from the online channel to your home. On the surface, this is one version of what is called "omnichannel". 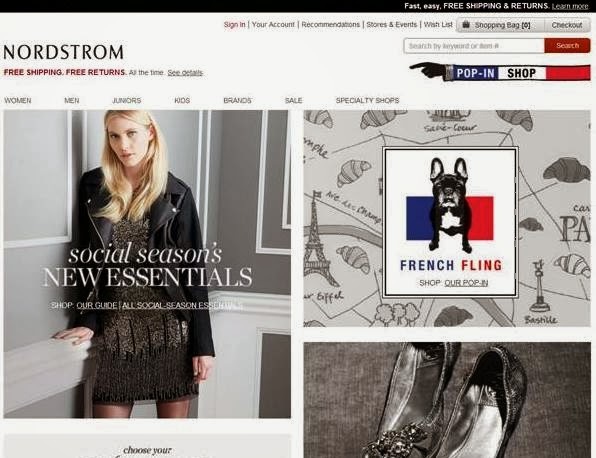 This version of omnichannel is branded as a way to compete with Amazon. Heck, here's an article that speaks of "hope" when competing with Amazon (click here). Pretend I am Gap - my comp store sales are down 20% over the course of the past decade - at a time when inflation should have caused a 34% increase in comp store sales. Or pretend I am Best Buy - selling the same stuff Amazon sells, but having to charge sales tax - in effect, having to be 5% to 10% more expensive all the time than Amazon in numerous states. Is the problem I'm trying to solve really all about using stores as virtual warehouses? Is the problem I'm trying to solve really all about converting a mall into a distribution center? Is the problem I'm trying to solve an integration of the customer experience across all devices at a time when customers can pay less via Amazon in 36 states? And then we have the problem of lock-in. Why aren't "omnichannel retailers" addressing this problem? Each year, I pay Amazon $79. In return, Amazon promises to ship stuff to me, fast. Really fast. Two days fast. I order on a Sunday afternoon at 3pm, I get a shipment on a Tuesday afternoon at 3pm. Once I lock-in with Amazon, at $79 (complete with Season 1 of Downton Abbey, streamed to my phone, immediately), tell me how an "omnichannel solution" will separate me from the lock-in? I am committed to getting everything I can for my $79 investment - I simply don't care that Macy's can get me a belt from their Mt. Vernon store when it is not available in Snohomish County. So what? I don't even have to enter a Macy's store to learn that the item is not available - I'll get a comparable belt on Amazon without leaving the house. Omnichannel is a solution, but it isn't a solution to the real problem. How do you defeat lock-in? How do you defeat the "department store" merchandising aspect Amazon possesses, where you can order a road atlas, an external hard drive, a pair of shoes, and a bluetooth speaker all in the same order? How do you offer better every-day prices than Amazon? How will we solve these very real problems? Why doesn't anybody want to talk about real problems - instead moving to less-than-likely solutions (omnichannel)? Look at the cupcake closest to us in the image. Yes, that one is a beauty. You can barely see the cake, can you? A whopping amount of frosting, coupled with a veritable plethora of sprinkle - that's a modern cupcake. Cupcakes are a lot like marketing. I mean, you don't see people sitting around eating the frosting and sprinkles from a cupcake, throwing away the cake, do you? (unless you're watching a Seinfeld episode about muffin tops - click here). How much frosting do you see on that cupcake? 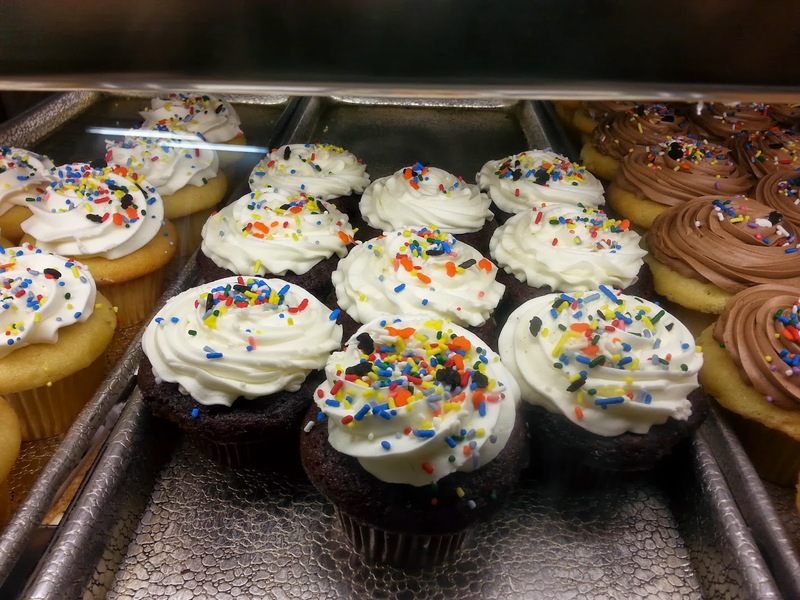 Frosting is to cupcakes as discounts/promotions/marketing is to merchandise. 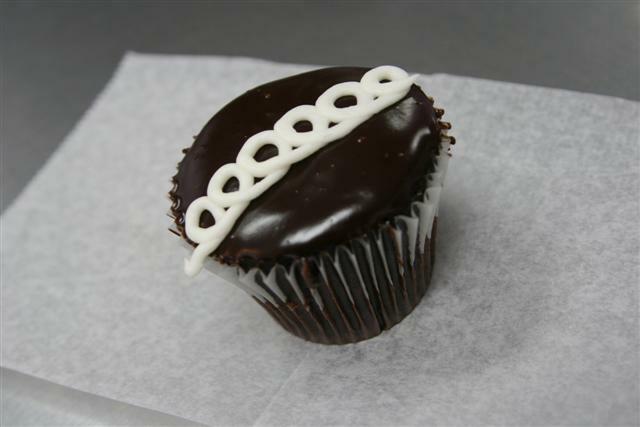 We all love more and more and more frosting, until there's just too much frosting there, and then we stop buying cupcakes from the bakery. Birthdays and Anniversaries are important milestones in business. Take customers acquired in, say, July of 2011. For the next twenty-seven months, calculate the probability of the customer purchasing in that month. If your resulting graph looks like this graph, then birthdays and anniversaries are important to your business. 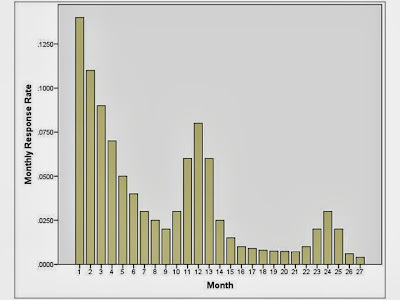 When a business has a customer base that purchases fewer than two times a year, the graph frequently looks like this. In months 1-4, the customer is highly responsive, adding items to complement a first order. Then the customer goes dormant. In months 11-13, the customer "reappears". Maybe the customer buys gifts on an annual basis - in that case, you're bound to see the customer reappear in months 11-13. And again in months 23-25. If you are in the personalization camp, then this is a graph you have to run. Get a feel whether birthday/anniversary events are important in your business. Join Me In San Francisco On Wednesday! Want to learn about Persona Marketing? Sure you do! Why not join Maureen Keefe (bio here) and I on Wednesday for our presentation at the Direct Marketing Association of Northern California? We'll talk about how one might apply personas to improve marketing at the Fine Arts Museum of San Francisco. Frank Jamieson does a fabulous job of putting together great sessions, so you'll want to be there! Click here for a link to the events on Wednesday. And if you want to go over your Merchandise Forensics work, I'll be happy to stay after and meet with you. Given that a disproportionate number of MineThatData blog readers are from the Bay Area, this represents a great opportunity to catch up. Price points yield many interesting outcomes in B2B projects. In B2C, there is relative uniformity of price points. Yes, when I worked at Nordstrom, you could buy $19 socks or $499 handbags, but that's a department store. If you go to Chicos, customers tend to align around price points that are uniform ... cheap = $10 ... expensive = $90. In B2B, the range between cheap and expensive is far greater. 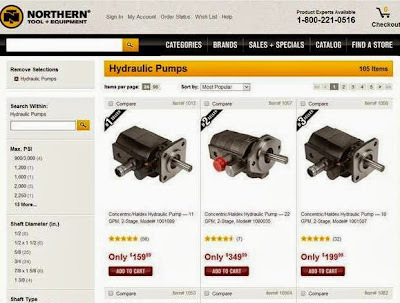 This image is from Northern Tool and Equipment. As you can see, Hydraulic Pumps are expensive. And likely profitable. At a $200 price point, let's pretend gross margins are 50% - that's $100 of profit per item sold. 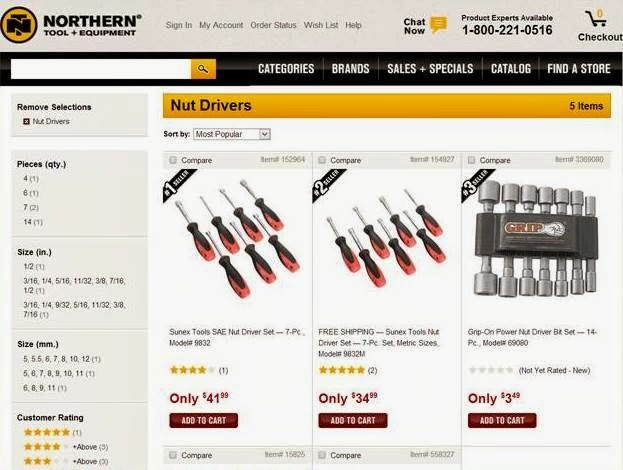 ... you have Nut Drivers. Pay $34.95 and at a 50% gross margin, you get +/- $17.50 profit per item sold. A small fraction of the housefile will buy the expensive items, but these customers are highly profitable. A larger fraction of the housefile will buy inexpensive items, but these customers generate marginal levels of profit. Pay close attention to the items you acquire a customer with. The high price items signal a willingness of a customer to spend larger amounts of money, and consequently, signal high long-term value customers. Customers acquired via low price point items need to be closely monitored - if they quickly upgrade to high-price items in a second purchase, then you're cruising! Low price point items do serve an important purpose, especially among high price point customers - they fill in gaps that allow the business to keep the customer active. Instead of a customer buying every 24 months, we convert the customer into one who buys every 4-6 months. Low price point items can play an important role. In a typical Merchandise Forensics project, I create five "grades" for various items. These grades help us understand how the business evolves and changes over time. First, I pull all transactions for the past year. Top 5% of Annual Demand. Top 5% of Annual Items. Top 45% of Annual Demand. With these three attributes, I create five item segments. "A" = Item is in top 5% of annual demand and top 5% of annual items. "B" = Item is in top 5% of annual demand, is not in top 5% of annual items. "C" = Item is not in top 5% of annual demand, is in top 5% of annual items. "D" = Item does not qualify for A/B/C, but is in top 45% for annual demand. In this framework, A/B/C items account for between 50% and 60% of demand, but account for just 6% to 9% of all items. This small number of items dictate the success of your business. If you don't develop new A/B/C items today, you don't have existing A/B/C items tomorrow. The biggest predictor of business success, in my projects, is the ability of a business to continually infuse the brand with a steady diet of new A/B/C items. Click Here to purchase on Amazon ($11.95 Print, $9.22 Amazon Prime, $7.95 Kindle). Contact Me (kevinh@minethatdata.com) for your own, customized project - click here for file layouts and project costs. Read this ... go ahead, click on the link, I'll wait ... see, when you click on the link, you prove to me that you're paying attention. Have you analyzed your merchandise assortment? I've done a ton of these projects, and guess what? It's happening, across the board. I talked about it here (again, please click, it demonstrates that you are paying attention). This is what "digital" and "mobile" are likely to bring us - you can't display 22,000 skus on a mobile device like you can in a catalog. As a result, 21,800 skus get minimal attention, while a couple hundred favorites capture all the demand. Think about how many skus Nordstrom has, more than a hundred thousand, right? But this is the established best practice. We do this, of course, so that when the user visits on a mobile device, they see the same integrated imagery and messaging. Omnichannel! Except for one little problem. By limiting the assortment, we limit just how much we tease the customer. This results in a select number of wildly successful winners, and a whole bunch of marginally productive items that must be forecasted perfectly, or you've got a liquidations situation that results in 40% off plus free shipping, devaluing the rest of the assortment. Pay attention, folks, because this trend is coming to a business near you. There are two things you're going to have to do. You're probably going to have to set up a "tournament bracket", whereby newly introduced items are given every possible opportunity to migrate to the championship game, where only a few highly coveted items are generating the majority of the volume in your business. Hint - it will be really, really important to fill the pipeline with future winners. You're going to have to have some monster winning items, items that generate a healthy gross margin. I know, I know, you think you already do all of these things. Not true. Not like you're going to have to do it in the future. And it's going to require a 50/50 partnership with marketing - marketing cannot be about discounts and promotions, marketing is going to have to advertise in a way that promotes the tournament bracket as opposed to advertising in a way that benefits the marketing team. Ok, time for your thoughts. Email me (kevinh@minethatdata.com) or leave a comment. What do you think will happen? How do you plan on responding to this challenge? Since you're pushing your chips all-in on Cyber Monday anyway, happily foregoing precious gross margin dollars, why not push the chips all-in with some precision? Step 1: Identify all prior Cyber Monday buyers in your database. Code them with a "1". Step 2: Identify all Black Friday - Sunday buyers in your database. Code them with a "2", provided they don't already have a code of 1. Step 3: Identify all prior %-off buyers in your database. Code them with a "3", provided they don't already have a code of 1/2. Step 4: Identify all prior free shipping buyers in your database. Code them with a "4", provided they don't already have a code of 1/2/3. Step 5: Identify all prior clearance/sale buyers in your database. Code them with a "5", provided they don't already have a code of 1/2/3/4. Step 6: Identify all prior November/December buyers in your database. Code them with a "6", provided they don't already have a code of 1/2/3/4/5. Step 7: Identify all other customers. Code them with a "9", provided they don't already have a code of 1/2/3/4/5/6. You have a targeting hierarchy. Now set up your Cyber Monday email promotions around the seven segments identified above. And while you're at it, look at prior purchase history, and at least present these customers with compelling merchandise. Contact me (kevinh@minethatdata.com) if you need assistance with your Cyber Monday segmentation strategy. Recall a few weeks ago I discussed the Clairo Modeling Project Review (click here)? Well, you clicked out on the data requirements link thirteen times in twelve hours - which, when considering I was really talking about just one vendor, is amazing. Amazing! Think about it for a moment. Then the inquiries started coming in, and the conversations were about Clario, and so many other vendors. So, we'll change the structure of the project a bit. We'll expand the Clario Modeling Review to a Model Evaluation. Any model. A catalog model. Your email vendor's personalization algorithm. Your retargeting model. Segmentation strategies for targeted paid search. Homepage personalization. You name it, I'll review it, and I'll tell you if the strategy you are employing is causing improvements to your customer file, or I'll tell you that you're paying for something that is not delivering a positive outcome. Put twenty-five years of modeling experience at your fingertips. File Layouts = Click Here (only file #1 is needed). The trade journals like to stick stuff in your face ... like telling you that Gilt generates about 45% of sales via mobile (click here). The inference - Gilt is smart, you are a moron. Well, of course Gilt is smart. You don't go from $0 to infinity in a few years by being dumb. But this doesn't mean that you are a moron. You sell widgets. Do you have sale events that begin at a certain time and may have limited inventory? Well, then there's not much in the way of urgency in your business, is there? Somebody can get your widgets anytime, anywhere. There's no danger of running out of widgets. When there's urgency, then there's a need to use a mobile device. So instead of thinking about "mobile first" - why not think about urgency? If you solve the urgency problem, you might just have a mobile business. Oh, and Gilt, as you know, sells stuff at low, low prices. Low prices + urgency = mobile. You sell at high prices with discounts and no urgency. That's different. There's a significant difference between you and your B2C cousins. In B2C marketing, you're acquiring a customer that has a 40% chance of buying again, and if the customer buys again, the customer might purchase 3 times at $100 each over the next three years. This nets the B2C marketer $120 demand over three years. After backing out expenses, you're lucky to take home $25 profit. This means that the B2C marketer cannot afford to lose a ton of money acquiring customers. In B2B marketing, you're acquiring a customer that has a 30% chance of buying again, and if the customer buys again, the customer might purchase 3 times at $400 each over the next three years. This nets the B2B marketer $360 demand over three years. After backing out expenses, you're blessed to take home $70 profit. If the B2C marketer is taking home $25 profit over three years, and the B2B marketer is taking home $70 profit over three years, then the B2B marketer has a major advantage - the advantage of a stronger/longer payback period. The B2B marketer can invest - almost over-invest - in new customers. But it's worth pointing out that if your AOV is north of $300, you have an opportunity to greatly ramp up your customer acquisition activities - investing today to protect the future of your business. When you work with the folks at Merit Direct or your preferred vendor - focus less on all the technical stuff - focus on how much you can truly invest. Or email me (kevinh@minethatdata.com) and we'll figure out just how deep you can invest. Well, you're gearing up for Cyber Monday, aren't you? It's fun - the press talks about your business, there's a buzz in the air, discounts and promotions are available everywhere you look. Some will be declared "the winners of Cyber Monday", based on social buzz or biggest discounts. Your CFO will declare you a Cyber Monday winner if you generate more profit, both short-term and long-term profit. The profit and loss statement we see here is typical. The normal offer is "free shipping" during Christmas, so in this case, the business offers 20% off plus free shipping for Cyber Monday. Hopefully, some testing is done - testing that allows you to see how the promotion performed against the normal offer. In our case, the promotion did outperform the normal offer. The "Increment" column is important. With the normal offer, you generate $19,800 profit on $90,000 net sales, at a profit rate of 22%. In the "Increment" column, you generate $1,800 profit on $90,000 net sales, at a profit rate of 2%. I once had an EVP tell me that you don't take percentages to the bank - all that matters are dollars. This promotion generates more dollars, right? Another expert recently told me that you offer the Cyber Monday promotion, because you are going to steal market share from the competition. This one is interesting - I want you to think about this, for a moment. If everybody runs Cyber Monday promotions, and everybody see sales double over a short period of time, but annual sales don't double, then how the heck did you actually steal market share? It's impossible. You didn't steal market share. Everybody posted gains. And since annual sales increase at maybe 3% to 7%, this tells me no market share was stolen - rather, sales were shifted out of other time periods. Run a test - your best offer against your normal offer - then calculate the "Increment" column in the table above. If you are generating less than 5% pre-tax profit prior to accounting for fixed costs, then you're not accomplishing a whole lot. How Many New Items Do I Need? Eighty Percent More? Wow! How many new items do I need to kick-start my business? This issue is easily addressed. 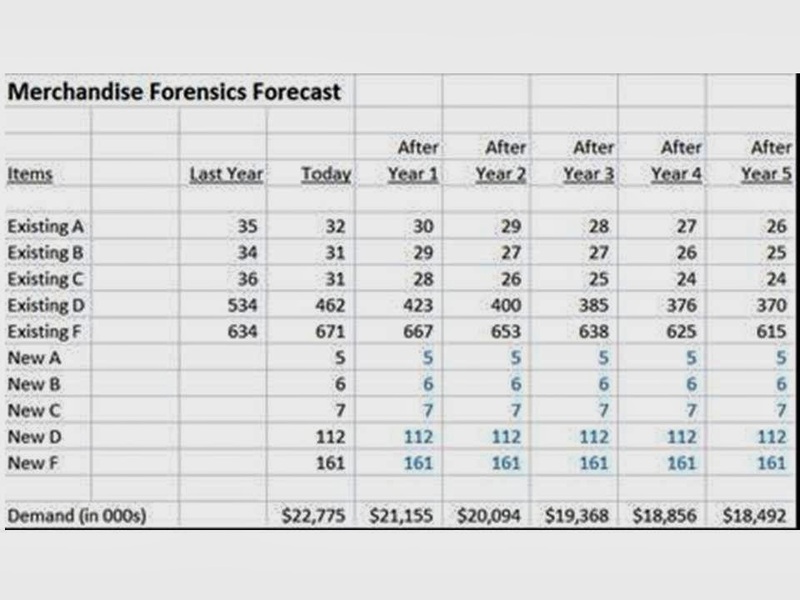 Think back to the Multichannel Forensics days of 2007 ... we forecast sales five years into the future, didn't we? Well, we can do the same thing with merchandise. Each item has a probability of being carried over, and if it is carried over, has a probability of being a winner/loser. Here's an example from the booklet (click here to order via Amazon). This business is toast. The number of "A" items is forecast to drop from 35 last year and 32 today all the way down to 26 in five years. 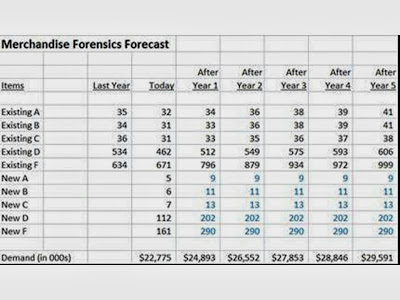 The business is forecast to implode ... from $22.8 million to $18.5 million in five years. Our instinct is to prop the business up via marketing ... spend a fortune on new customers, email marketing, search, affiliate, mobile, you name it ... we'll chase the business, seeking to find a mythical omnichannel customer. We'll spend money, lots and lots of money. And we'll toss in 30% off plus free shipping, why not? We'll just ignore the core issue. It's marketing's fault. They aren't targeting the right customer. Why the heck wouldn't we solve the core problem - merchandise? Isn't merchandise what the customer actually purchases? Oh, the business is growing again! Notice that I'm not asking for a miracle - I just want 80% new item growth across the board - poorly performing new items, winning new items, it doesn't matter. Just get some growth going! Now, your merchandising team might balk at 80% more new items, per year, for five years - but you have data on your side. Look in year five - we have 41 "A" existing items, compared to 26 existing "A" items in our base scenario. Do you understand how important new items are? New items mean everything! And yet, we try to find some magical omnichannel answer. Focus your efforts on merchandise, and truly make a difference within your company. I talk about this in the booklet - that one set of problems cascades, yielding other problems (click here to purchase the booklet). Maybe this sounds familiar to you? In 2010-2011, coming out of the recession/depression (are we out yet? ), there was pressure on the profit and loss statement. Everybody had to be on top of their game. As a result, merchants were under pressure to maximize performance. Merchants, seeking to maximize performance, stayed away from new, risky products, squeezing every last ounce out on proven winners. In 2012, two years of reduced new product introductions tricked into a problem with existing items. A 20% reduction in new products yielded an eventual 10% reduction in winning items in 2012. With fewer high-productivity existing items, fewer new customers were acquired. With fewer new customers being acquired, the marketing team gets yelled at. When the marketing team gets yelled at, you can rest assured that discounts and promotions are not far behind. This propped-up 2012 demand, temporarily. With demand propped up, profit suffered, causing Management to trim expenses. In 2013, there are even fewer winning existing items, following three years of new item problems. With even fewer winning existing items, marketing runs out of additional discounts/promotions, causing demand to once again sink. This results in fewer new customers and lowered customer retention. With fewer customers and lowered retention, there are fewer items that become "winners". And with fewer items becoming "winners", there are fewer customers, and as a result, we're running a business without profit. That's when the private equity folks are called in. All caused by a failure to properly monitor what customers spend on new items, and on existing items. And it's so easy to measure this, folks, just do it! What do comp customers spend on new items, and on existing items? The answer falls right into your lap. You'll immediately see if there is a new item or existing item problem. Then dig into your merchandising data, and figure out what is going on. You're not failing because of "omnichannel issues". You're not failing because your business "isn't agile, or isn't social". You're failing because of merchandising issues. Go solve the problem! Email me if you need help (kevinh@minethatdata.com). You have a major advantage over your B2C counterparts. You employ human beings in a more central role in your marketing strategy. In a recent project, I ran a query - I controlled for prior purchase history, equalizing customers. Among a segment of equal customers (as of September 2012), I measured next twelve month spend. Here's what I learned. Customers Assigned A Sales Rep = $800 future spend. Customers Not Assigned A Sales Rep = $600 future spend. Remember, I equalized customers. This means that, with equal customers, the only fundamental difference in future value was that one set of customers were assigned a sales rep. Better yet, within those assigned a sales rep, there were differences. Sales Rep = John: $1,100 future value. Sales Rep = Jerry: $825 future value. 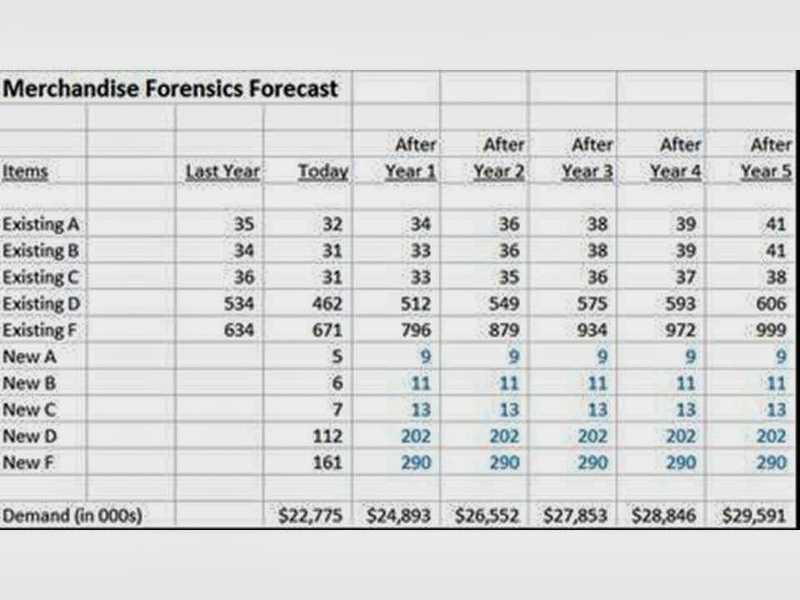 Sales Rep = Bill: $775 future value. Sales Rep = Perry: $520 future value. In other words, it's really important to measure "who" works for you. My equalization methodology can ferret out the sales reps who truly provide incremental value to your business, and better yet, can put a dollar amount on how much value the individual creates. For instance - if John is accountable for 1,000 customers ... and he generates $500 of true incremental value ($1,100 - $600 = $500) per customer, then John is accountable for $500,000 of incremental demand - likely $250,000ish of incremental profit. It might be time to recognize John, don't you think? Contact me (kevinh@minethatdata.com) for your own, customized B2B "human equalization analysis"! If you like the drama surrounding the Government shutdown ... and you like catalog marketing ... and you like the Gliebers Dresses saga ... then you'll want to read what happens when Roger Morgan shuts down the Distribution Center. We'll address the graph in a moment. A key tenant of the Merchandise Forensics framework is that item reductions, especially via new items, leads to an erosion in customer productivity. And an erosion in customer productivity leads to fewer new customers, and fewer retained customers. This leaves us with a weaker customer file for next year, which drives down the volume per item/sku next year, which causes the merchant to "hunker down" and offer fewer items/skus - which causes fewer customers to purchase. The death spiral is underway! I observed this in 16 of 20 recent Merchandise Forensics projects, FYI. This is a problem. It is especially a problem with catalogers trying to conserve cash - investing cash in paper instead of investing cash in the stuff customers purchase - merchandise. So far, I don't like what I'm seeing, when it comes to Mobile. Love Mobile, don't love what it forces us to do, from a merchandising standpoint. "If we don't feature the item in a catalog, the item does not sell well online." In other words, the shift from catalogs to e-commerce caused a shift in the distribution of item selling characteristics. Catalog marketing thrived on having a large number of good performing items - these items filled the catalog, making paper reps happy, making printers happy, driving down cost per thousand pages circulated, increasing new customer acquisition circulation (making co-ops and list folks happy). Everybody wins when there's a bounty of good performing items. Google changed the equation - moving focus to the items that Google's algorithm favored (search). Google essentially "hid" the good performing items (page 6 of results). Email changed the equation - moving customer focus to the items that were given the biggest discounts and promotions. E-commerce eroded the number of "good" items, but rewarded "brands" with an increase in great items. Mobile has many advantages over e-commerce, and myriad advantages over cataloging. But mobile has one, enormous, whopping drawback. In Mobile (as it exists today), you can only feature so many items. Given the display size, you are really, really stuck with what you can and cannot display. Oh, I know, the pundits will argue against this (in catalog, they'll point to Catalog Spree - but if that was so great, why do so few people use it and why did they have to partner with Google), but be honest. On a 4" screen, there's only so much you can feature. The message, the story, it all must be simple. You can feature 100 product hyperlinks on a home page or landing page. You can feature 700 products in a 124 page catalog. You cannot do either (well) in Mobile (and maybe you shouldn't do this in e-commerce, either). When what you feature is limited, then what the customer purchases is limited as well. In other words, we're seeing a "hollowing out" of the meaty middle, where old-school catalogers generated a ton of profit (allowing tens of thousands to catalogers to be profitable). Instead, we're moving to a world with a handful of best sellers, and a whole bunch of low-performing items. If we have limited space to display our merchandise (Mobile screen), we'll optimize that space with best sellers - it's a Darwinian process. This means we'll erode the "good" items - they either graduate up, or they drop down. This brings me to the image at the top of the blog post. Offer 100,000 skus, yield $6.50 per visit. Offer 200,000 skus, yield $8.00 per visit. Now, the cost of having the 100,000 additional skus required to bump $/visit from $6.50 to $8.00 might be prohibitive. But if you figure out how to deal with the inventory (i.e. you don't own it), then the relationship is highly profitable. But this is e-commerce, where a hundred thousand skus can be viewed via a series of drill-downs and landing pages and links, via considerable home page and landing page real estate. How does this change in a Mobile environment? Well, it changes everything, as the pundits say. You're only going to feature a limited number of items. It's all you can do. Mobile will likely limit what the customer can see. Look at your own phone - how many apps do you honestly use on a continuous basis? 15? 3? As a consequence, Mobile will drive an effective reduction of skus - you'll still offer 100,000 skus, but your customer will perceive your brand as having 3,000 skus, or 300 skus, or more realistically just 30 skus. 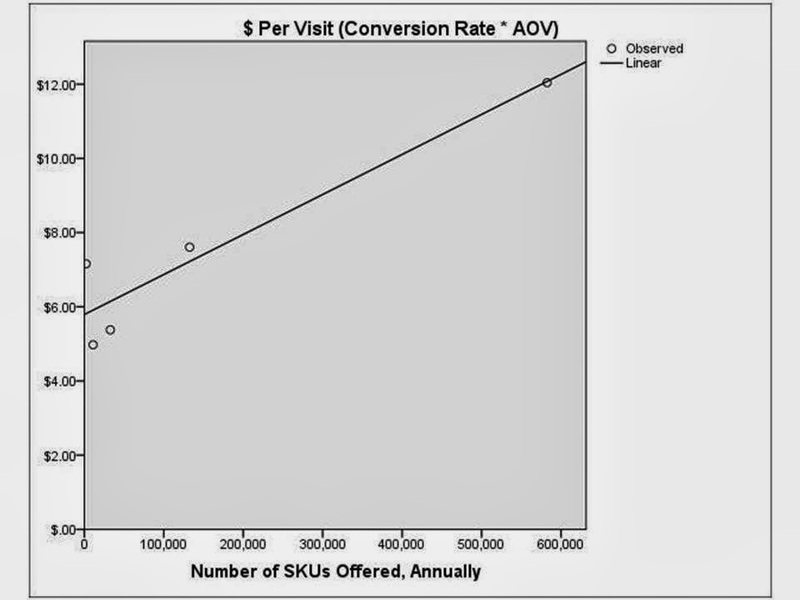 Sku reductions lead to lower customer productivity, and fewer new customers. In order to make Mobile work, we'll have no choice but to increase traffic. Not everybody can increase traffic. So in an arms race to capture a finite amount of Mobile traffic, we'll discount and promote ourselves into oblivion. This leaves us with a handful of winning brands with enormous traffic (just like Amazon in e-commerce, but think something even bigger than Amazon in the future, or think Amazon becoming 40% of e-commerce instead of 20% - 25% today), with everybody else fighting for table scraps. The handful of winning brands will be able to personalize, using sophisticated and expensive technology, to show off numerous skus - each customer will see a different assortment. This has been promised for two decades - but the technology is getting closer each day (experts will tell you it is already there, and it probably is), and Mobile will demand use of the technology to drive up conversion rates. Remember, I write this stuff because I want you to think. Don't dismiss this argument with nonsense like "we're different, customers love our brand". Think about the argument. Think about the ramifications of the argument. Think about merchandise. I'm telling you what I'm observing, across a diverse set of clients.